IOCL Recruitment 2019 - Apply Online/ Offline for Director (Refineries) Post in IOCL, Delhi on Absorption. 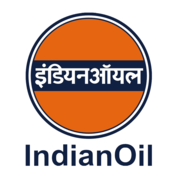 Online Applications are invited by Indian Oil Corporation Limited from 18 Jan 2019 to 29 Mar 2019 05:00 PM for 1 vacancy. The applicant should be an Engineering graduate in Chemical/ Mechanical/ Electrical Engineering from a recognized University/ Institution with a good academic record. Eligible candidates may apply online at IOCL's website (direct link is given below) from 18 Jan 2019 to 29 Mar 2019 05:00 PM. IOCL Recruitment 2019 - Apply Online for 25 Research Officer & Chief Research Manager Posts in IOCL Faridabad. Online Applications are invited by Indian Oil Corporation Limited from 22 Apr 2019 12:00 PM to 21 May 2019 till 03:00 PM for 25 vacancies.